Being among the top LED grow lights, the Colofocus 600w LED light comes with a perfect solution for the veg growth. Not only has Colofocus been manufacturing high quality LED lights, they also sell them at an affordable price. Moreover, Colofocus 600w LED has a high conversion LED. This is really great when it comes to the process of indoor cannabis growing. A company with over 8 years of experience manufactures the Colofocus 600w. So, it’s no surprise that it is equipped with the best features and provides high efficiency. With the powerful lights, IR function and a wider spectrum, this LED grow light gives dense growth and great yields. 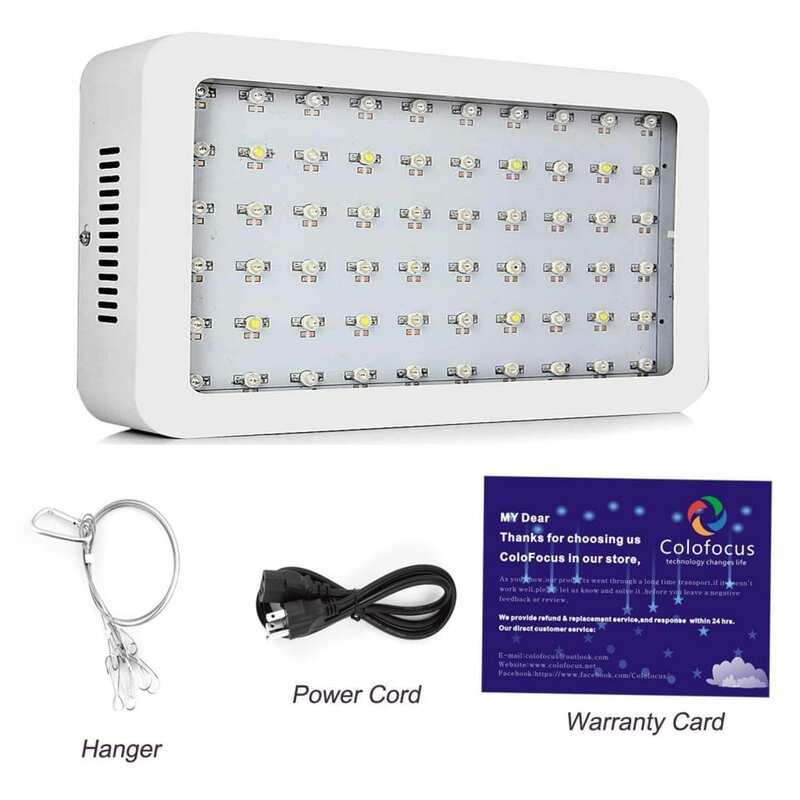 The Colofocus 600w LED grow light is affordable and gives a good color density. It not only weighs a little but it also it has an easily adjustable size. What other features the Colofocus 600w holds and what its specifications are is what we will discuss in this LED grow light review. Are you looking for the best 600 watt LED grow lights? We made an extensive list that includes all of our recommendations in every segment. How does the Colofocus 600w perform? The Colofocus LED grow light has a spectrum that is similar to real sunlight. As a result, this ensures healthy growth of plants, vegetables, and fruits that are grown indoor. The inclusion of the IR and UV spectrum helps in germination. Also, it is very handy and easily operable. LEDs of Colofocus 600w are much more powerful than the 3w or 5w LEDs. As a result, this creates a denser and brighter beam of light to focus on the plants. This not only saves energy but also the lifespan of the light. Thus, you get the best light for a longer time. 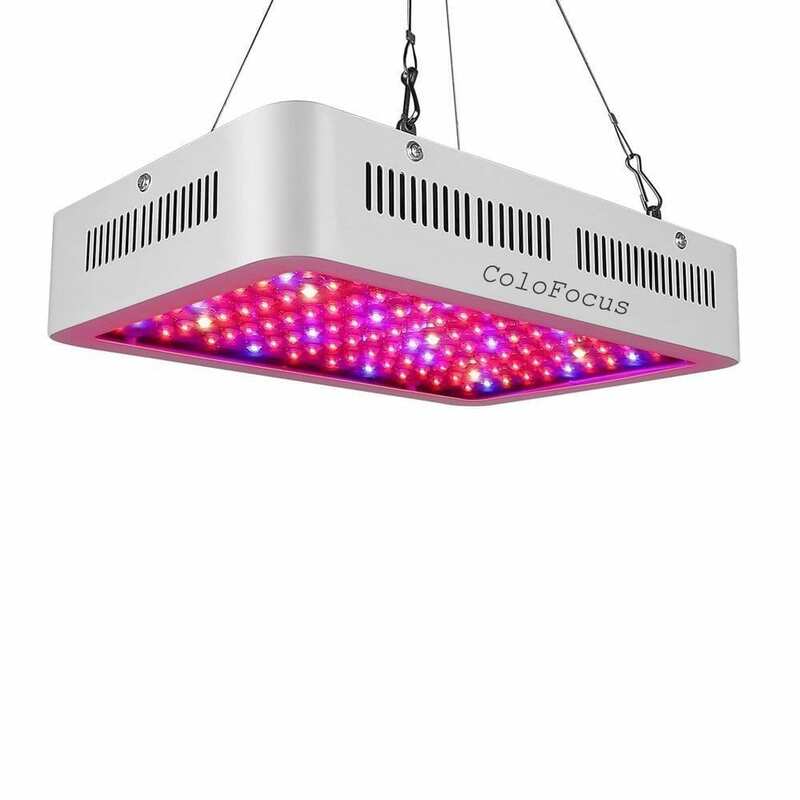 The Colofocus LED grow light is equipped with double chips of 10 w (2 pieces of 5w chips in every LED), which makes it a must-have for growers. After the research of over 8 years, this Colofocus 600w LED is manufactured with the best possible light spectrum range. Furthermore, the Colofocus LED light works smartly by maintaining a low temperature level. This is made possible by its revolutionary heat dissipation design. 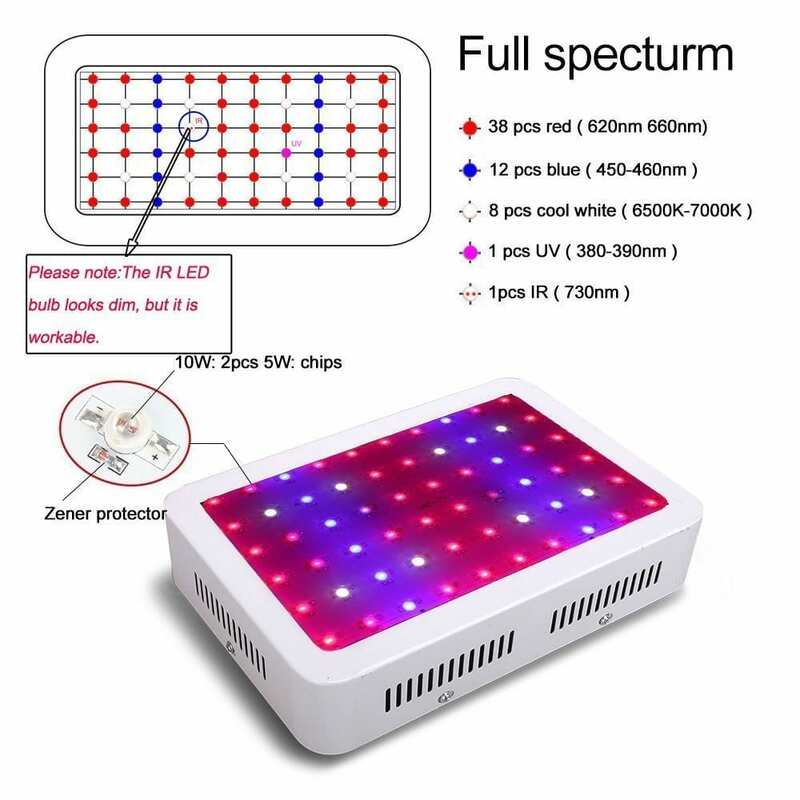 There are two cooling fans included in this LED grow light. As a result, it is made overheat protected. 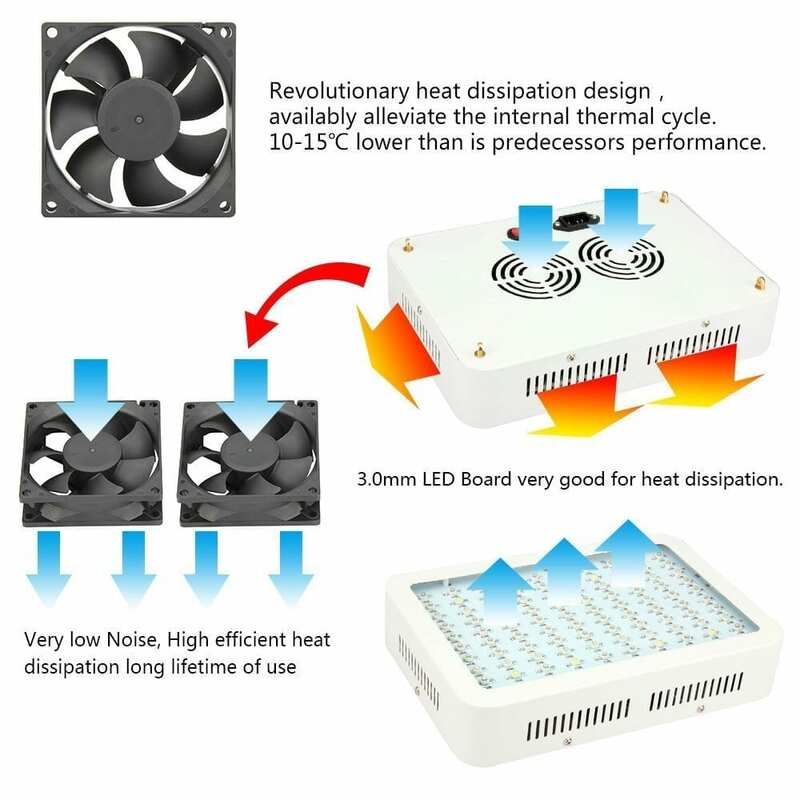 A 3.0 mm LED board is good for heat dissipation quality. Moreover, every LED has a resistant which makes them work separately. This colofocus 600w LED has a high conversion LED lamp. Thus, this is most suitable for indoor plants. As they transfer 90% of their electrical energy to the plants, this makes it an efficient choice for the growers. This feature makes the colofocus to be 3-5 times more efficient than its equivalent HID or HPS lights. The coverage area of colofocus 600w LED is great as well. It covers approximately 3.5×4 feet area. So, this can include 3-4 plants at a time. You can look for a suitable grow tent as well on growyour420.com. The humidity control feature of the Colofocus 600w LED grow light is amazing. It makes sure that your plant is growing well on humid days as well. The Colofocus LED grow light performs very well in a controlled indoor growing environment. 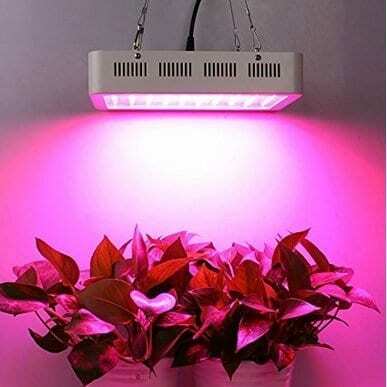 Furthermore, it provides a long life span of the 600 watt LED grow light. With a great humidity control function and long hours of working, colofocus 600w LED provides great performance for the price. All in all, we would say that this Colofocus 600w review provides you anything you need to know about a 600w LED grow light. 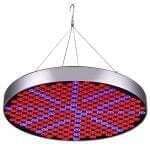 This is a flawless light with a wide spectrum range. The colofocus led grow lights are durable and low budget. Every grower that is looking for the best LED grow lights for indoor growing should consider a Colofocus. Price/quality ratio wise, this is definitely one that competes with all the other lights in this price range. If you’re looking for durability, ease of use and all the basic features; this is your light! Interested in the latest tools for your grow room? Read our reviews on the best bud trimmers, best par light meters, 3×3 grow tents and the best carbon filters. Do you want to know more on growing weed? We wrote some extensive guides that teach you everything. How to make cannabis oil? How to grow weed hydroponically? We tell you everything! Interested in other LED grow lights? Read all our reviews! 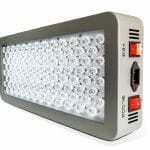 Our reviews include the King Plus 1000w, Viparspectra 900w and the best COB LED grow lights.